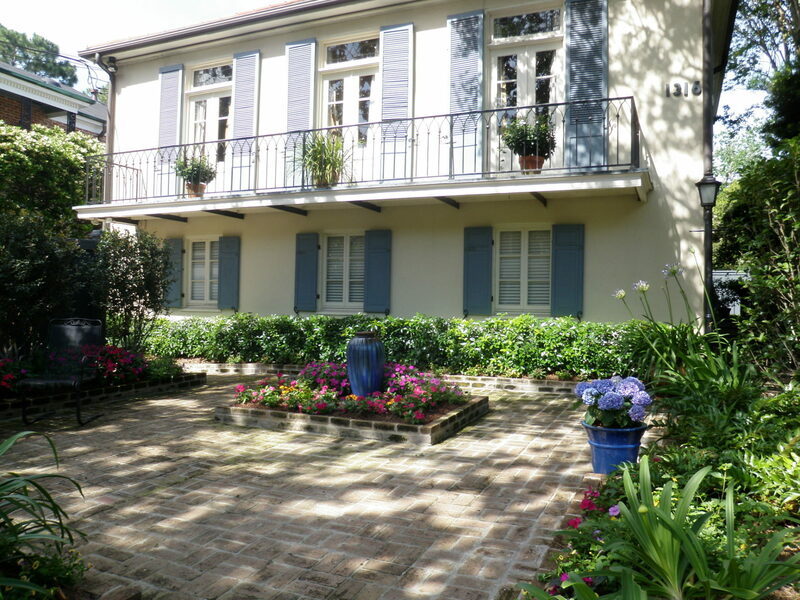 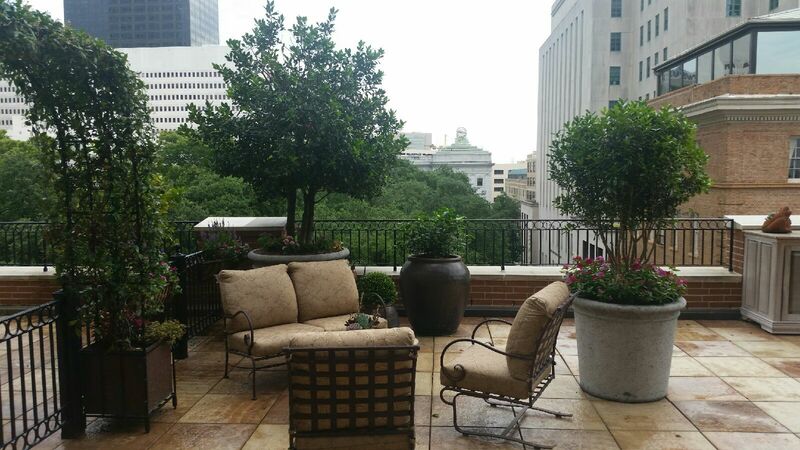 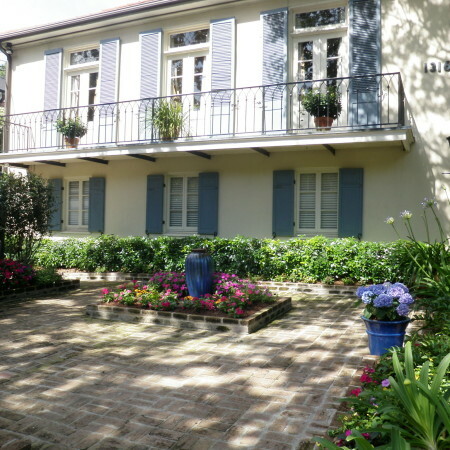 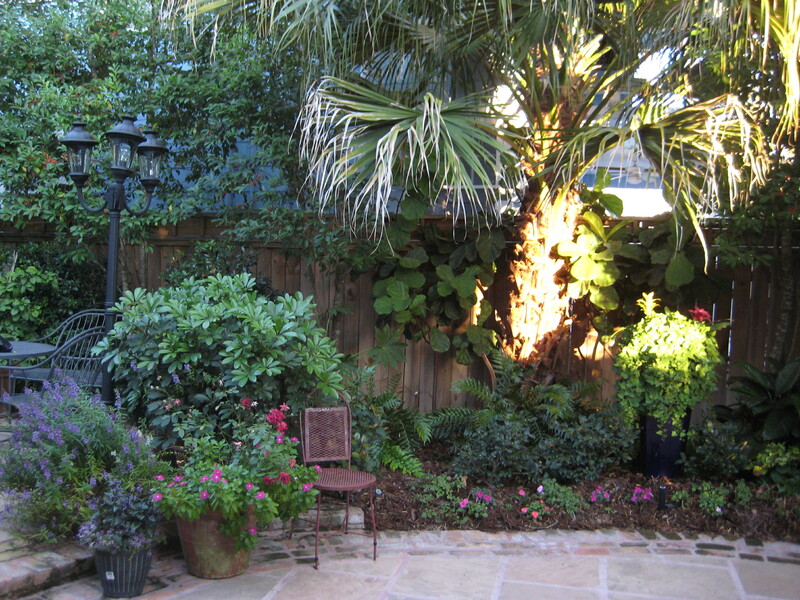 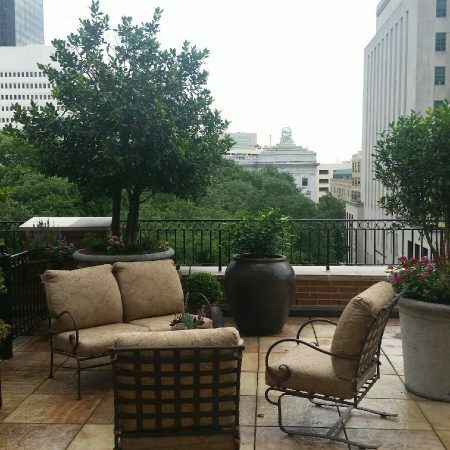 As the original New Orleans courtyard designer, Beverly’s colorful courtyard was designed with gracious curves and multi-levels, creating two unique spaces that keep the eye moving. 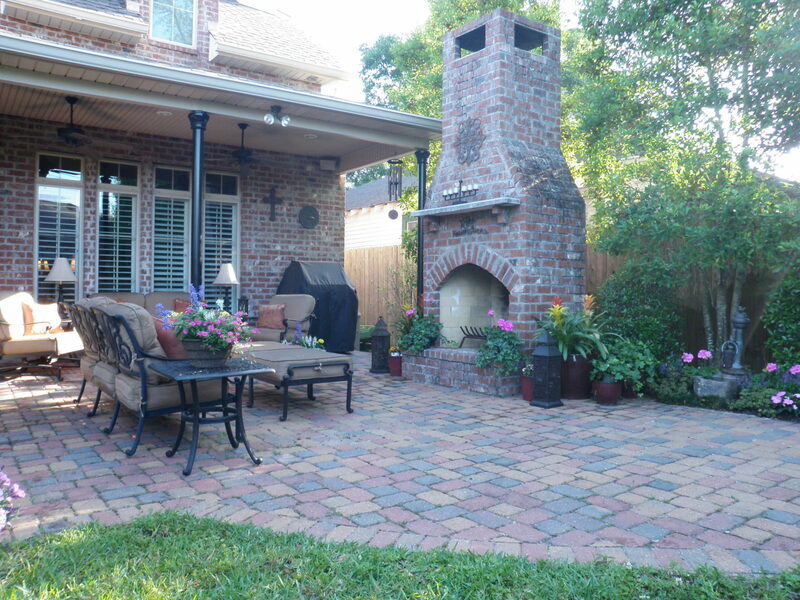 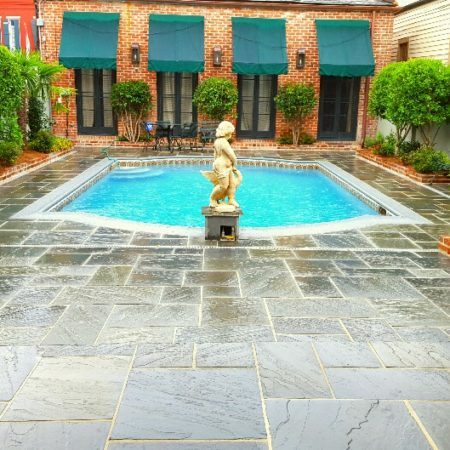 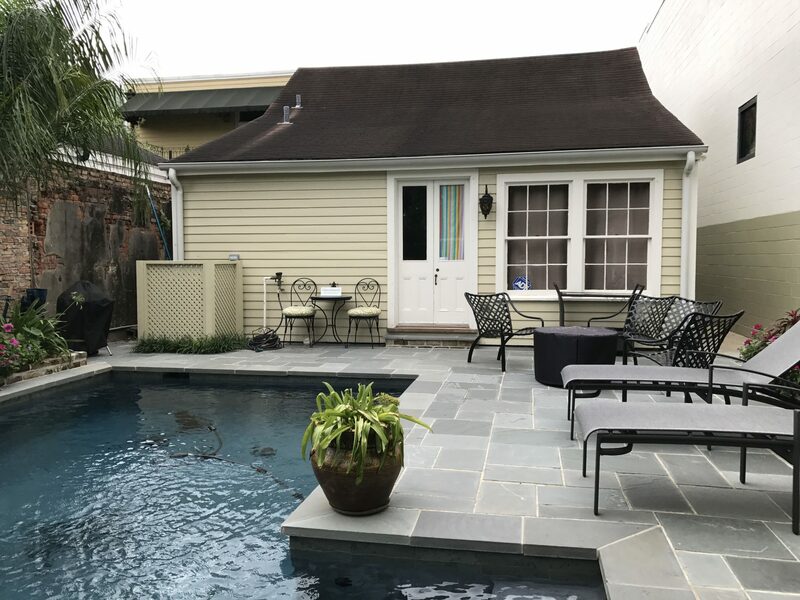 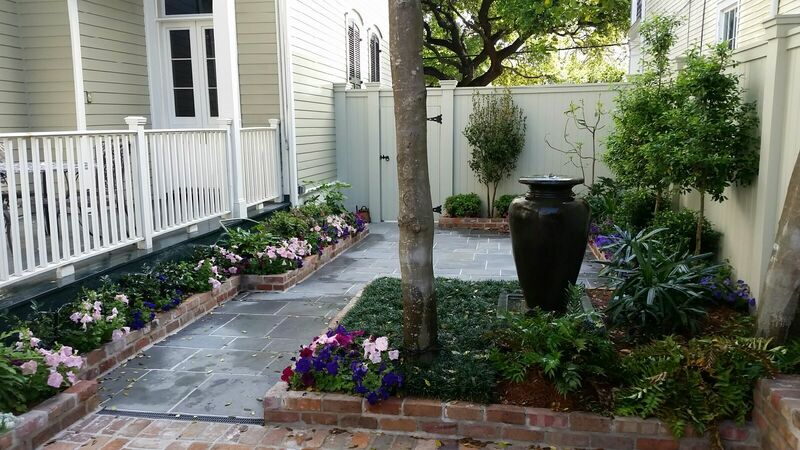 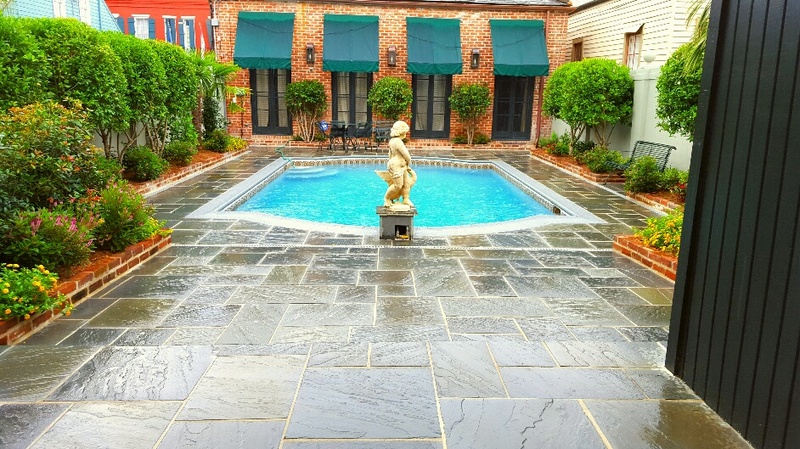 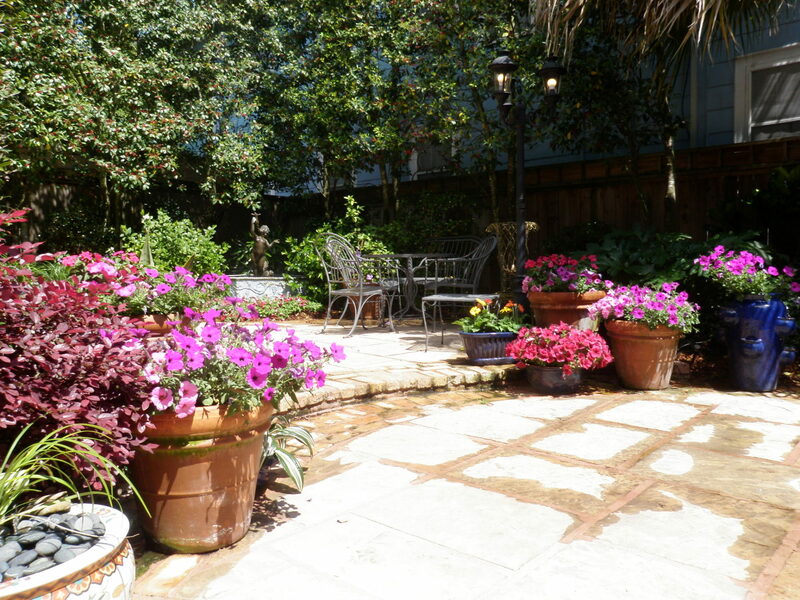 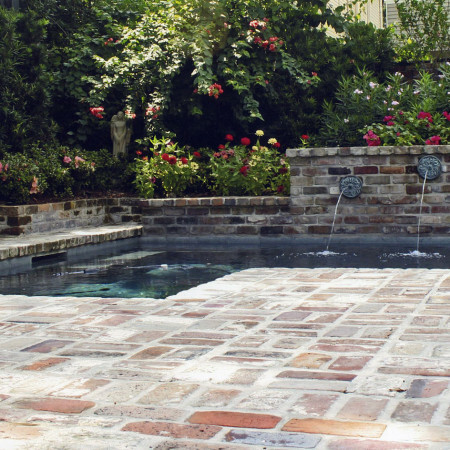 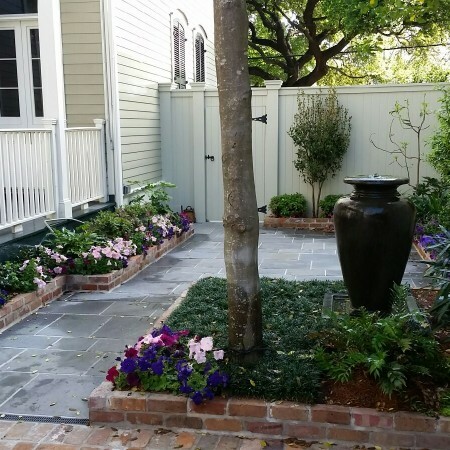 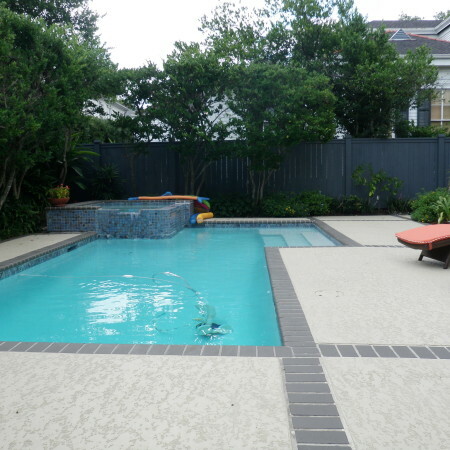 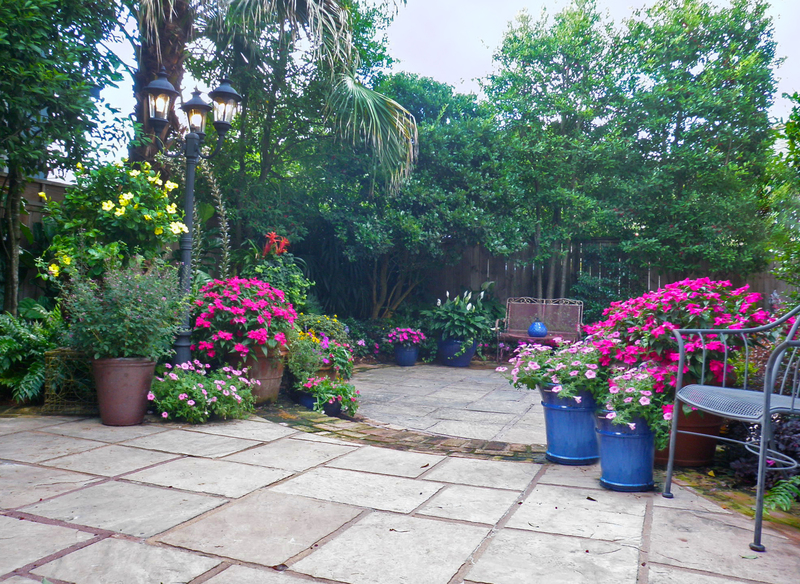 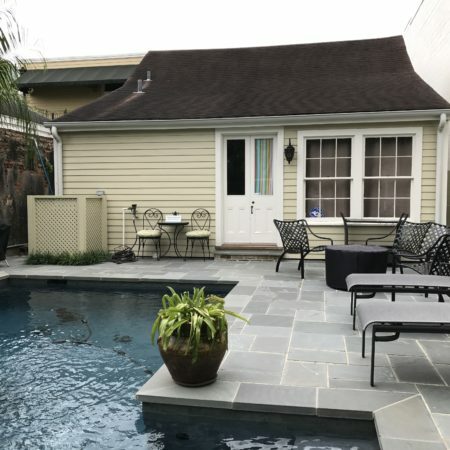 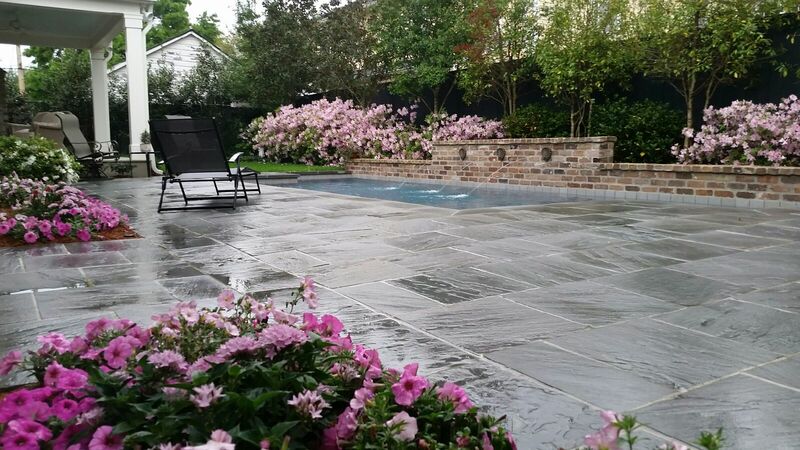 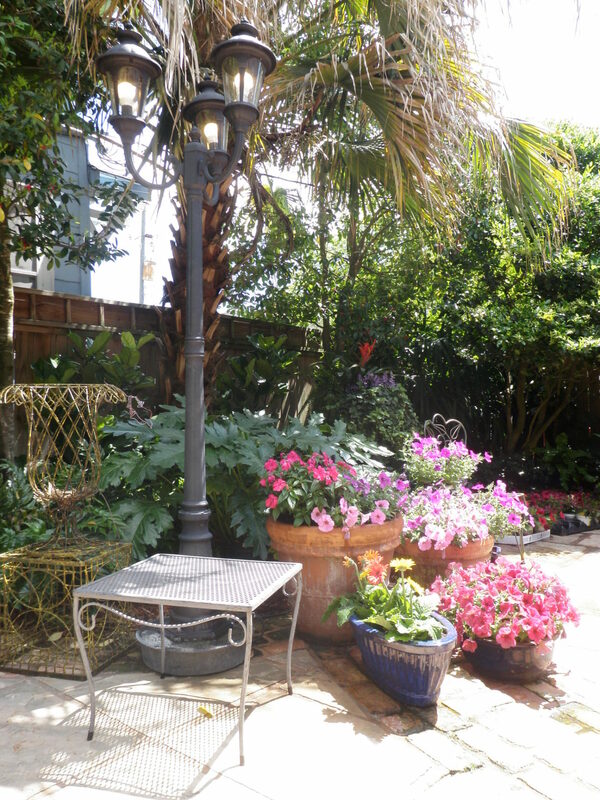 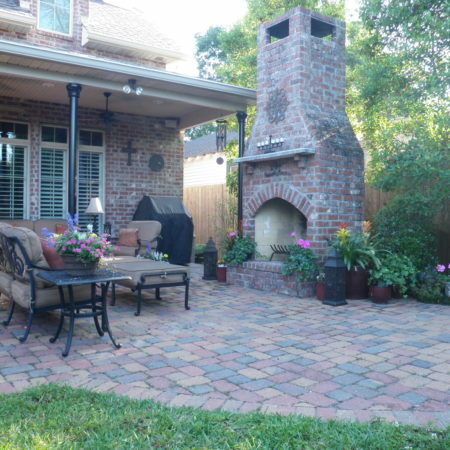 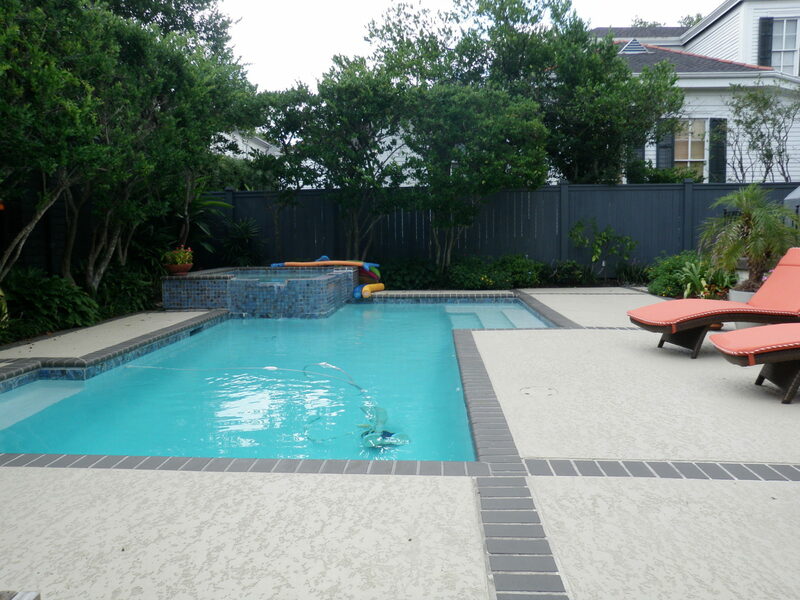 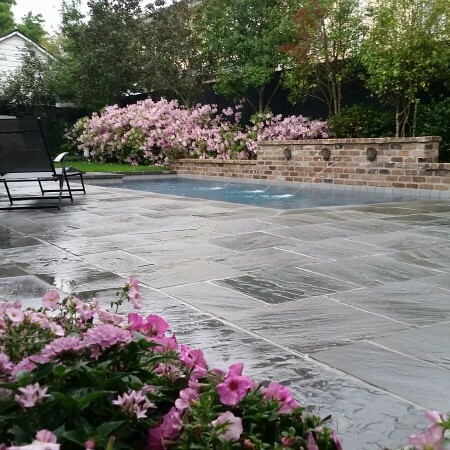 Upon entering her pale pink flagstone courtyard bordered with brick pavers, you are instantly surrounded by a combination of colors, textures and the sound of trickling water, all creating the ambiance of a traditional New Orleans courtyard. 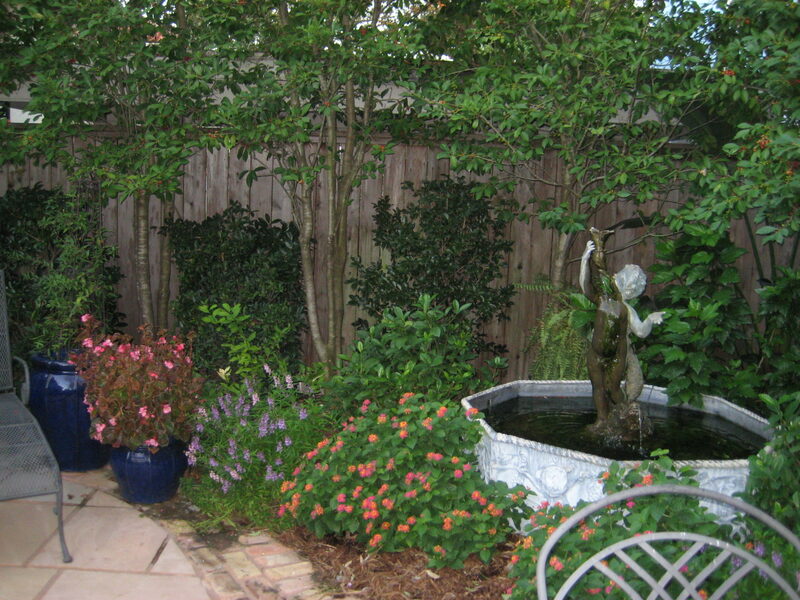 The upper dining level has a beautiful fountain tucked in the landscape and flanked by gardenias and blooming brunsfelsia. 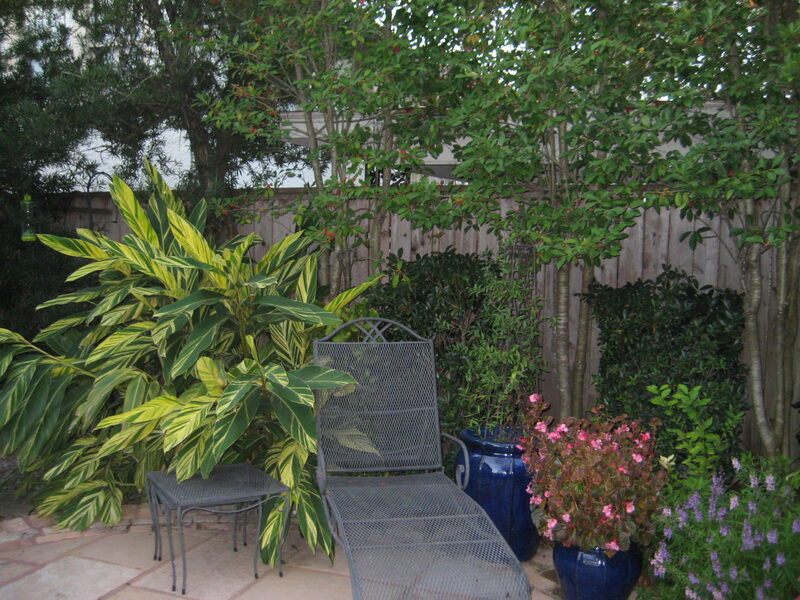 The lower sitting level is filled with southern plants and containers bursting with colorful annuals contrasted by a background of large leaf textured acanthus.